Students investigate the fifth century B.C.E. in Greece. They begin with the Persian Wars, in which Greece won a startling victory against the world‚Äôs greatest empire at that time. 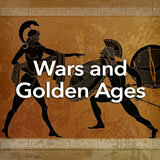 They continue through the Golden Age that followed, and into the Peloponnesian War between Sparta and the Athenian Empire, a war that brought an end to Greece‚Äôs Golden Age. 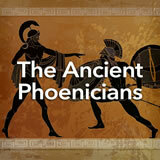 In this experience, students investigate the fifth century B.C.E. in Greece. They begin with the Persian Wars, in which Greece won a startling victory against the world’s greatest empire at that time. 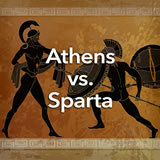 They continue through the Golden Age that followed, and into the Peloponnesian War between Sparta and the Athenian Empire, a war that brought an end to Greece’s Golden Age. This experience contains a lot of content. You may choose to teach it over two sessions in order to spend adequate time on the various elements of fifth-century Greece. 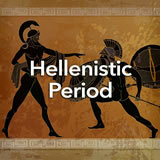 Describe the Persian and Peloponnesian Wars and explain their significance. 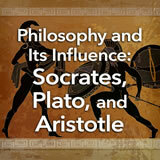 Identify key figures in ancient Greek history. If you could live at any place and time in history, what would it be? One popular answer is, “Greece in the fifth century B.C.E.” People choose this period despite two major wars and a deadly plague. In this experience, you’ll find out why. 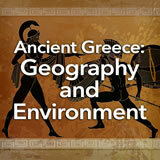 You’re going to begin your study of fifth century Greece by learning about—someplace else! “Someplace else” is the Persian Empire, and at the time, it was the most important power in Greece’s part of the world. Look at the map, and find the Persian Empire. That’s easy: It takes up practically the whole map. Now find Greece. That’s not so easy. It’s way up near the top left corner. And the Persian Empire kept spreading. How would you feel if you were Greek at that time? Write single words or very short phrases. To write more than one, separate them by commas, like this: hot, cold. Possible cloud words include, but are not limited to, scared, worried, angry, and rebellious. 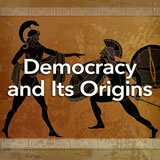 To prepare for learning more about this era, post one thing that you already know about ancient Greece and one thing you would like to know based on what you just learned about the Persian Empire. Discuss student responses as you set the stage for the rest of the experience.